Running a business is a big challenge. You have to make sure that it profits and doesn’t operate on a loss, on top of keeping your employees happy and content. Aside from these concerns, you have to take in consideration the security aspect of your business. Locksmith Houston is the best in the industry when it comes to securing offices and business establishments with our state-of the-art locking mechanisms and systems. When you have a lot of employees with their own access to the office, broken office keys are a common occurrence. We professionally service all types and brands of keys so if there is ever a situation like this, our major company is readily equipped to handle the problem and solve it in no time. Keeping your confidential files secure and away from prying eyes can be a lot of hard work. You will need file cabinet locks that cannot be easily broken into by curious hands. This is where our elite team comes into the picture. 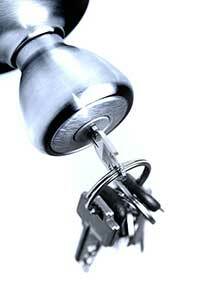 Our services are the best in the commercial lock industry. There might also come a time in your business operation where an individual who once worked at the property will try to steal using old keys. In this case, you may need to have the locks replaced so your enterprise will remain secure from others with ill intentions. We take immense pride in the fact that we have a bevy of satisfied clients who own different kinds of businesses in Houston, and these businesses refer us for the efficiency and quality of the jobs provided for them. Our commercial locksmith team performs lock repair and many other services to help keep your businesses secure and running smoothly without the risk of thefts and unauthorized entries. So, if you ever experience an office lockout, do not hesitate to give us a clall. We offer same day service, so your dilemma is solved right away. Get your business back to its normal operations with our expert help. It is our goal to offer clients the best results and friendly customer service. Call us now and let’s talk business!